Sound Experience Manila (SX Manila) regularly promotes local bands in the Metro. They do that by organizing special events that features local bands and collaborating with organizations focused in the other form of arts that share its vision to encourage a lifestyle of self-expression through the performing arts, like their weekly produced shows in Rizal Park, Luneta. For inquiries, you may contact Atty. Carlo Ybanez at 09177933325. 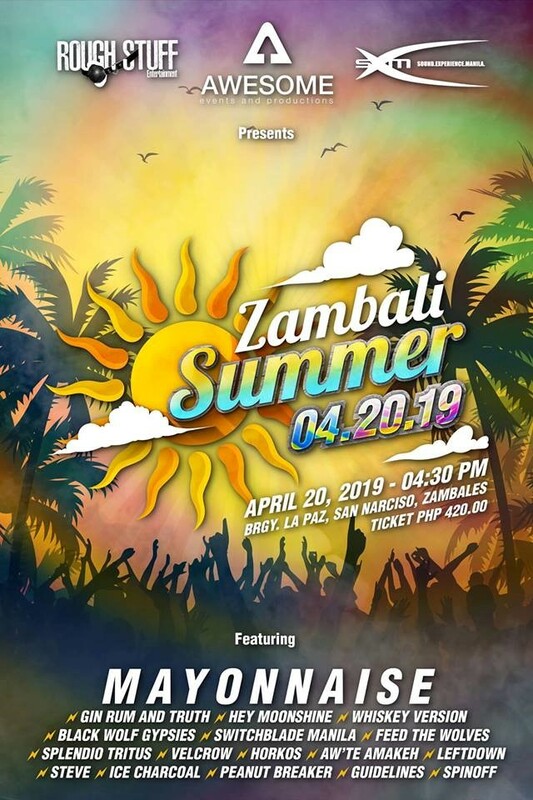 To get tickets online, you may search “Zambali Summer” in www.Eventbite.com and for more details on the event, you may visit the Facebook Page, Zambali Summer 4.20.19. Also, Sambali is the orginal name of Zambales, which is known for its long stretch of beautiful and pristine beach and there is no better way to bring people together, than thru good music by the beach! What is happening during the celebration? How much is the ticket and how to get it? For tickets online, beach-goers and music lovers can search for Zambali Summer in www.Eventbite.com, or they can visit the Facebook Page “Zambali Summer 4.20.19”.